Description: UBERMOSH:BLACK is the second volume of the arcade series UBERMOSH. 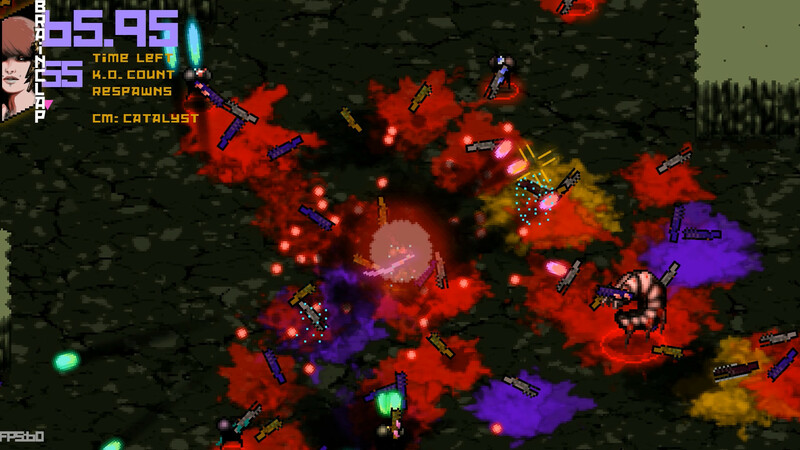 Cut bullets with your sword, shoot with heavy guns and splatter enemies with a rage fueled psionic wave. A love letter to the community, Black comes with the "brainclap" feature, a new class mod, more achievements, more enemies, a new ultimate gun and a complex balance to allow 30% more stuff on screen creating an even more intense combat experience, packed in 90 seconds bursts.